President Trump’s executive orders on the federal workforce will carve out about 600,000 federal employees: those at the U.S. Postal Service. The Office of Personnel Management confirmed the exemption to Government Executive after informing one of the major postal unions directly. The orders aim to streamline the disciplinary process for federal employees, boost oversight of official time and reduce its use, and revamp collective bargaining between unions and agencies. The executive orders concern chapters of Title Five of the U.S. Code that do not apply to the Postal Service, an OPM spokesperson said on Tuesday. That squares with an analysis conducted by outside attorneys for the National Association of Letter Carriers, said Fredric Rolando, the union’s president. “The NALC stands in solidarity with...all the federal unions and will work with them to reverse these executive orders,” Rolando said. The postal unions are likely breathing a sigh of relief at the updated clarification, as federal employee labor groups have argued the orders are aimed at kneecapping their ability to function. The official time directive would prevent employees from spending more than 25 percent of their work hours on representational duties. The collective bargaining order requires agencies to complete negotiations within a year and creates a working group to identify “wasteful” provisions in CBAs and set “model ground rules” for labor-management talks. The two largest federal employee unions have already launched lawsuits to block the orders’ implementation. Because the Postal Service has since 1971 been set up as an independent agency tasked with operating to resemble a private enterprise, it is often exempted from otherwise governmentwide provisions. When Trump froze hiring through the civilian workforce shortly after taking office, for example, the Postal Service was unaffected. OPM’s clarification comes at a key time for USPS, which is set to begin negotiations with the American Postal Workers Union later this month. The organization’s current collective bargaining agreement is set to expire in September. 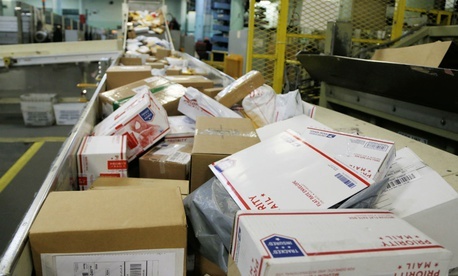 Postal employees could still face changes in the near future. Trump has created a task force to examine the agency's operations, including the state of its workforce. That group has been meeting with various stakeholders and plans to issue its report of recommendations by Aug. 10.